Nikola joined TMC (Marine Consultants) Ltd in April 2019. He has very diverse experience in the maritime industry having served on bulk carriers, cruise ships and marine construction vessels. He worked as Senior Navigation Officer for major cruise line after which he transferred to offshore industry and renewables where he served as Barge Master and Captain.Upon moving ashore Nikola continued working throughout the World as independent consultant on number of oil and gas, marine renewables and marine construction projects. Maria joined TMC (Marine Consultants) Ltd in March 2019. She is a Chartered Naval Architect with a background in casualty investigation and response as well as marine claims and disputes. Has acted as client representative during salvage operations and has worked on a number of wreck removal projects in Europe and SE Asia. Has provided advice on cases including groundings, collisions, sinkings, container loss, mooring failures and has worked on site to support marine casualties providing technical support and cost control of engineering, fabrication and logistics. TMC Marine and Bureau Veritas, the casualty & salvage experts, have teamed up again with the London P&I Club in order to address risk in shipping. This is to help prevent injury, loss of life and damage to ships and to cargo. The focus this time is on better on-board systems to meet the requirements of the ISM Code’s Safety Management Systems to reduce risk and develop a culture of continual improvement. This new booklet provides clear, practical advice to help prevent systemic failures. Key elements highlighted include the management of change, as well as work planning meetings and the importance of a Permit to Work system. The circular nature of the Safety Management System (SMS) is also emphasized. Ivelin joined TMC (Marine Consultants) Ltd in January 2019, having worked previously on board a variety of vessels (Bulk carrier, OBO, Coaster, Container and MPP) as deck officer, Chief Officer and one year in command of MPP and containers vessels. He has experience carrying a wide variety of cargos including container, project cargos, iron ore, grain, steel, wood, coal, oil and cement. TMC is delighted to announce that Roger King has been appointed to the Lloyd’s Panel of Special Casualty Representatives (SCR), as of 1 January 2019. This appointment, in addition to the four established SCR’s Stephen Tierney, Colin Barker, Marcus Cave and Kevin Sibley strengthens TMC’s capability and availability to respond to Clients requirements worldwide in both SCOPIC and other casualty management situations. Roger is the only Australian-based SCR practicing, and is very familiar with salvage operations particularly in the Asia-Pacific region. 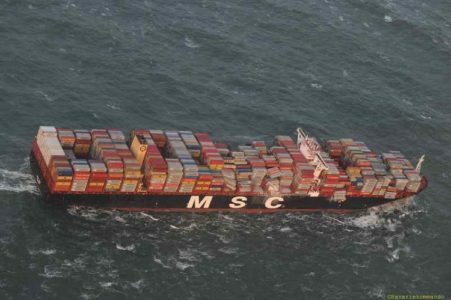 On the 1st January 2019, TMC were appointed by clients on the loss and damage to containers suffered onboard MSC ZOE, during heavy weather whilst the vessel was en-route to Bremerhaven, Germany. Naomi started at TMC Medway in September 2018 after previously being an Emergency Management Co-ordinator for Civil Defence and Emergency Management in New Zealand. Naomi has a diverse background in emergency management including experience in natural disasters (tsunami, earthquake and severe weather events) and marine casualties, including the groundings of the RENA in New Zealand and KEA TRADER in New Caledonia. She has a range of experience in dealing with the environmental issues associated with marine casualties and salvage operations (co-ordination of shoreline/ oil spill response, community engagement and communication). In addition, she has worked for a range of government agencies including New Zealand Police and Customs. Thomas joined TMC in June 2018, after 10 years at sea, during which time he served on a variety of vessel types including Container vessels and Ro-Ro passenger ferries, as well as clean petroleum products and LNG tankers. He started his seagoing career with Maersk Marine Services on Container vessels as well as serving in Maersk owned Norfolkline line on Ro-Ro passenger ferries. In 2010 he joined BP Shipping where he gained experience on clean petroleum product vessels with Framo systems, followed by significant sea time on LNG vessels, both membrane and moss type vessels. Jason Fahy, a Marine Engineer with a First-Class Certificate of Competency, joined TMC as a Marine Engineer Consultant in May 2018. He has 24 years sailing experience from Cadet to Chief Engineer. He has sailed predominantly on Class 1A1 Chemical Tankers for a Global Chemical Tanker owner and has considerable experience on medium speed engines, high voltage diesel electric systems and ancillary deck systems for high spec chemicals. Ian Hodges writes an article for The Swedish Club publication Triton, about loss control on tankers.